Pre-Event Webcast #2 was held on March 14th. Pre-Event Webcast #1 was held on March 6, 2014. 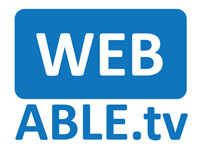 The event webcast was produced March 18-20, 2014. This year's Keynote Address at the Conference which will be held March 18, Tuesday evening, in Manchester Ballroom at 5:30 PM. Dr. Caren Sax, this year's Conference Chair, will host the Tuesday evening event. A Reception will follow the Keynote Address. We are pleased to announce that this year our Keynote Speaker will be Mr. Tommy Edison. Tommy Edison has been blind since birth and produces online videos that reveal a glimpse into his life and the funny challenges that he faces daily. Mr. Edison is also living his dream as "The Blind Film Critic". With his unique and interesting perspective as a movie reviewer, Tommy says "I watch movies and pay attention to them in a different way than sighted people do. I€™m not distracted by all the beautiful shots and attractive people. I watch a movie for the writing and acting." In addition, Mr. Edison has been a radio professional for nearly 25 years, having spent the last 19 at a Connecticut station as €" you guessed it - a traffic reporter! 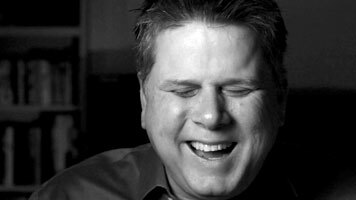 Tommy€™s engaging personality and humorous stories are sure to provide the conference with an entertaining "kick-off". Please join us in Manchester Ballroom on Tuesday, March 18 at 5:30 P.M. when we open the 29th Annual Technology and Persons with Disabilities Conference.